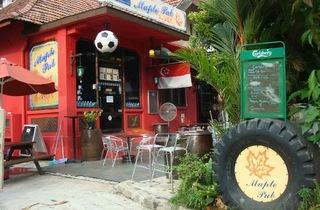 Every neighbourhood needs a local, and Maple Pub has been filling this niche for some time now. It attracts a regular crowd of thirty-somethings who chow down on yakitori sticks, washing it all back with mugs of ice-cold beer. On Tuesdays and Saturdays, free snacks such as chicken wings and fishcakes are served, while Wednesdays and Saturdays see special beer promotions pushed during the happy hour period (4-9pm). 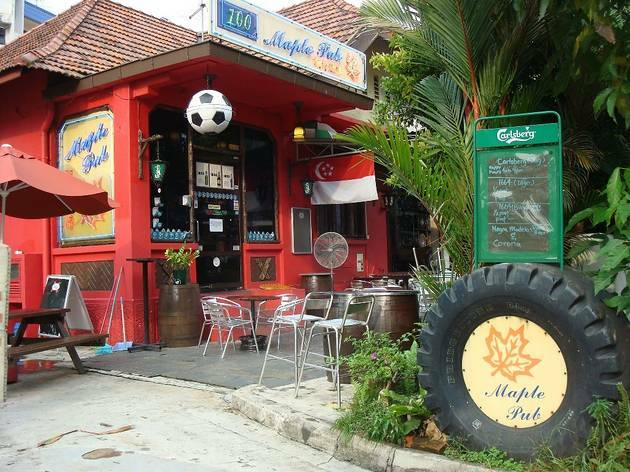 Tapping into Singapore’s love for anything free, the pub also holds a regular lucky draw. For every $100 spent, patrons can win booze goodies ranging from a mug of beer to a bottle of Martell.